I delivered this commissioned 60″ x 72″ acrylic painting this past Friday to Sonya and Wade Rozier. 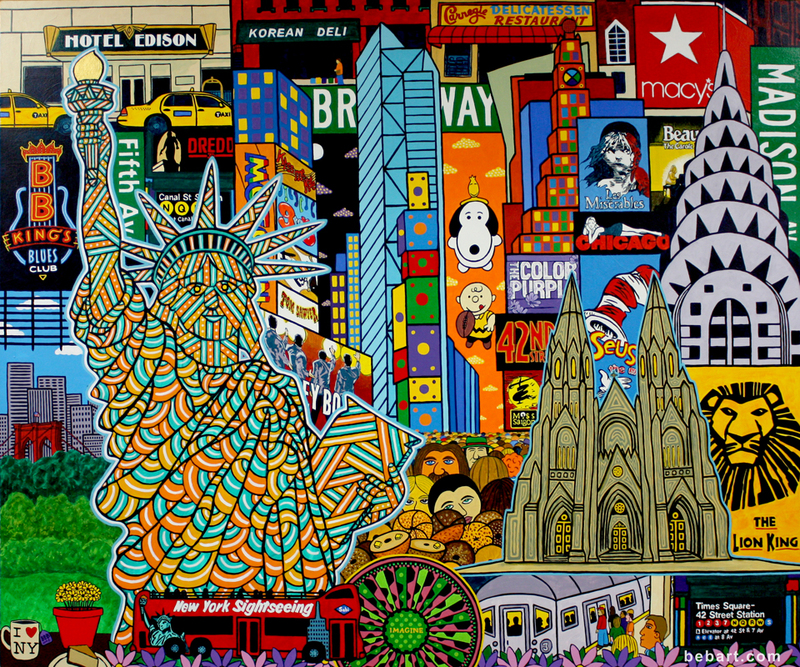 Sonya wanted a painting to remind her of their trips to New York City. Her and Wade provided me with a list of things to include in it and gave me free reign on painting it up. Had a great time doing so too! Big shout of THANKS to Sonya and Wade for the opportunity!! I really appreciate it!! Hope it brings y’all nothing but joy and happiness every time you look at it. On another note, I’ll be back on here and Facebook posting about my show coming up October 6th, 2016 shortly. So mark that date if you can make it to the show here in Lumberton, North Carolina. Details soon!! PS… Shout of thanks to my bro Ricky for helping me title this painting! !